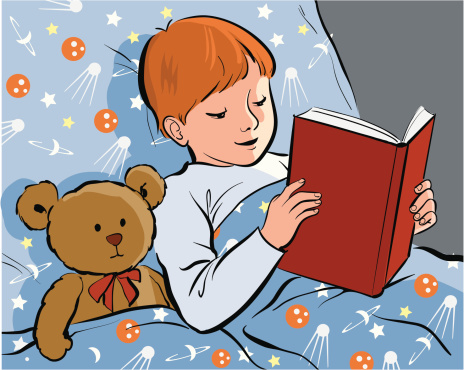 5 Ways to make reading more fun for kids: Connect them to inspirational game changers! Reading is considered 'boring' by many children. Growing up around books is the best way to make your child feel comfortable and confident in the world of books.My biggest worry was that my son would feel the same way and I always ensured right from the time that he was two years old that I took him to the British Library. Here's one of Adi's earliest favorite books that he learned to read: Samira's Awful Lunch. Connecting your child to game changers! Yes, that's probably the best thing you can do to take your child to the next level! Lets see how to do this step by step. Ready? When I first enrolled my son Jyotiraditya for a Reading Club, I had no idea that he would enjoy it so much or that I would get useful 'expert' advice on how to take Adi's reading skills to the next level. At the British Council, I had interacted with several teachers who conduct workshops for kids and I loved the way they seemed to interact and understand the kids without being judgemental about them. For Adi, the reading workshop turned out to be great fun because it enabled him to interact with a bunch of young avid readers older than himself and he also got to learn more on how to be a good reader through his teacher who came from the UK to teach them. He also got literary exposure to what kids of his age are reading in the UK. 1. Jyotiraditya has an exceptional interest in reading. What to do: Get him more books on different, interesting subjects and make him read it. If there is a topic that bores him, skip it and let him read what interests him. The idea is to get him to read about more things that he can store in his mind as information. 2. Jyotiraditya is the only child in the Reading Club who reads without getting stuck nor does he use his finger to lean to direct the sequence of words that he is reading. This conveys that he is a very fast reader - a trait that will help him tremendously in future. What to do: Get him books that have advanced levels and difficult words. Work with him to make those words sound like fun. Make funny sounds together so that he enjoys associating different words with sounds. This will also help him to enjoy learning difficult words and recalling them easily. 3. When Jyotiraditya finds a difficult word, he relies on phonetics to help him get the sound of the word correctly. What to do: Get him to write and play with difficult words and their sounds more often. From all the useful feedback that I received this one takes the cake: Many children of this age are very sensitive when they are corrected in front of their peers by a teacher. The most remarkable quality about Jyotiraditya is that he is not afraid to make mistakes. If he makes a mistake and the teacher corrects him, he takes it in his stride in a positive way and moves ahead to learn what is next. This trait conveys that Jyotiraditya is a happy and confident child and this rare strength in his personality will help him to tackle challenging situations as he grows up and becomes a man one day. As a mother, this feedback meant so much to me. Do you know why? Because when he was a baby, Adi was a very frightened, shy, hesitant and lonely child! He feared people and hid from them. During his toddler years, he would hide behind me even when he saw family friends or family members. But he had fantastic, very patient teachers who saw his strengths and helped him to leverage them. I particularly want to thank all his remarkably patient pre-school teachers at the Little Millenium School, Vaishali for nurturing him like a sapling and for helping him to blossom the way he has. Another important mention is the nursery teacher Narinder Kaur at Indus Valley Public school who constantly encouraged Adi to read, write and to do stage performances representing their school in different forums. She understood his fears so well and worked on it relentlessly. In fact, at one point, she made him start the day in school by going to other classes and narrating a short story. When he ended the story, she would ask the entire class to give him a standing ovation. This gave Adi a lot of confidence to speak in public and in front of strangers. When we introduce our kids to the world of books, we throw open to them the doors of the Universe - we let them discover, dream and soar beyond all boundaries. Won't you make reading more fun for the children in your life? What books did you love reading as a child? If you liked this post, do drop a line. I'd love to hear from you! Excellent reading of the child and its needs. Elders can learn how to develop thechilds interest. Great!